The three day annual cultural fest “UDAAN-2018” by Central University of Jammu, began on Wednesday, at Main Campus of the University. The event was inaugurated with lightning of the ceremonial lamp by Prof. Ashok Aima, Hon’ble Vice Chancellor, Prof. Lokesh Verma, Academic Coordinator, Deepak Pathania, Dean Students’ Welfare and others. In his presidential remarks the Vice Chancellor said that this is an event which provides an opportunity to the students to showcase their hidden talent. “These cultural events give a relief from the monotonous daily academic routine”, he said, and added that UDAAN kind of cultural events bring more energy and positivity in student’s life and make them more meaningful and productive and builds self confidence in them. 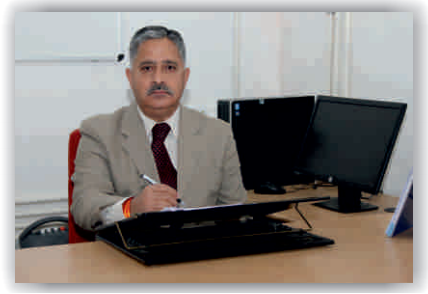 Earlier, in his welcome address, Prof. Deepak Pathania, Dean Students’ Welfare said, “I would like to extend a warm welcome to Hon’ble Vice Chancellor, Prof Ashok Aima, Registrar CUJ, Dr. Ravi Kumar, Judges, Deans of different schools, Heads of Departments, Faculty members, Staff and Students.” He said that cultural events add values not only to the university life but the individual life as well. Although cultural activities are different from that of academic one but they are an important part of each other, he added. On the first day of fest, four events including Rangoli, Photography, Stand up Comedian and Collage Making, Poetry Recitation, On the Spot Painting and Mimicry were organised, while rest of events for second and third day would be held at Temporary Academic Block, Sainik Colony, Jammu. Vote of thanks was presented by Dr. Aman, Assistant DSW. Ramiyan Bhardwaj, a student of Department of Mass Communication & New Media conducted the programme.